When you think about winter you automatically think about coats, boots, scarves, gloves, and sweaters. You also think about hot chocolate, holiday parties, and gifts, but that’s another story. However, an underappreciated essential is a good waterproof bag. Yes, you read that correctly. Because when an unexpected snowfall gets you on your commute after work or when the weather app says it’s snowing but it’s really rain falling, you need a bag that has your back and won’t fall victim to the weather. So, instead of sporting suede, canvas, or velvet bags, we highly suggest you go for patent PVC or leather bags, which will withhold much better than the others. Plus, they are guaranteed to look just as good (or even better) with all your winter outfits. So, if you were in the hunt of a stylish waterproof bag or now you never thought of owning one until now, then you came to the right place. From trendy, leather shoulder bags and practical and stylish tote bags to literal bags within bigger bags (for extra protection, of course), ahead we rounded up the best of the best. Whether you were tired of your belongings going to and from your destinations all snowed up or simply want a new bag in your life (no shame), there’s one for you and your style. Give your tote bag the printed PVC treatment with this navy tortoise option. Perfect for your winter weekends. The smaller the bag, the less water fits inside. No need to worry when you carry this on your back during a rainy day. Water will slide right off this leather shoulder bag. A bag within a bag is always a good idea. You can wear this waterproof bag on your wrist or crossbody and it will look great wither way. Say hello to your new gym tote. You can sure carry more than your cosmetics in this bag. This technical weave fabric will surely be in your favor when it's raining. 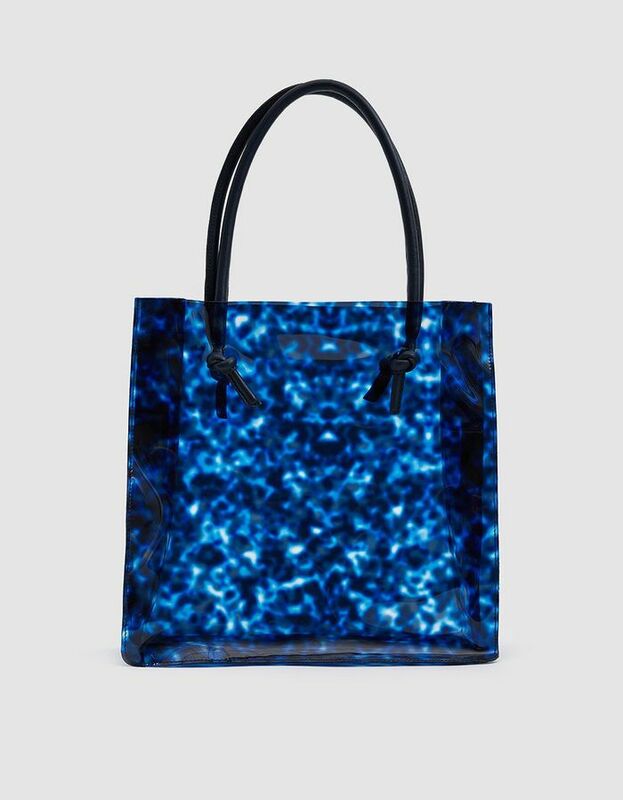 Thanks to the color of this bag you won’t notice the annoying water droplets. Plus, your belonging will still be safe. Count on Baggu for a perfect, casual waterproof tote. You’ll be ready to face any type of weather with this hip bag. P stands for Prada, practical (and pricey). Perfect tote size to fit your umbrella. Nylon is a great fabric when looking for waterproof bags. Waterproof and hands-free? Count us in. One can never have too many bags within bags. You have literal money protecting your money with this bag. If you’re looking for more stylish waterproof picks, look no further.